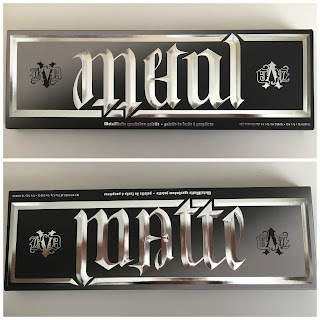 This was my other highly-anticipated product for this holiday season, even more than the KVD/Too Faced collab that is coming out in December. 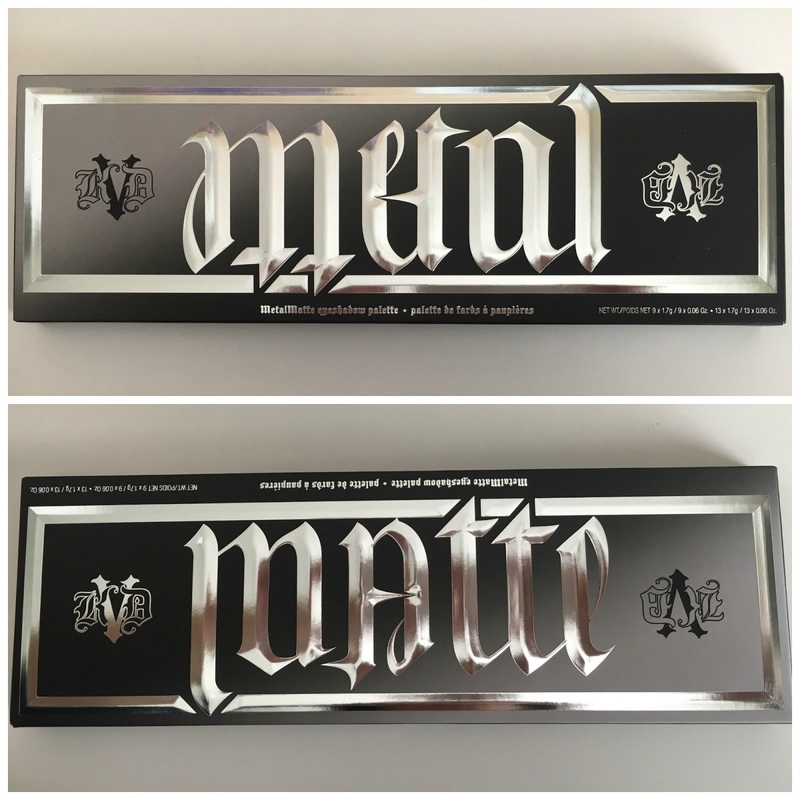 I'm a fan of KVD's metal crush eyeshadows, but I'm a whole lot less apt to buy each shadow individually, so the fact that there is a palette with a whole bunch of metallic shadows in the same formula was a major draw for me. Plus, look at all these colors! Secondly, this palette was way, WAY bigger than I thought it would be. I know it contains a lot of eyeshadow, but I was expecting something closer to the Serpentina palette. It's just as well, though - to be honest, I think I'd still need to supplement this palette. 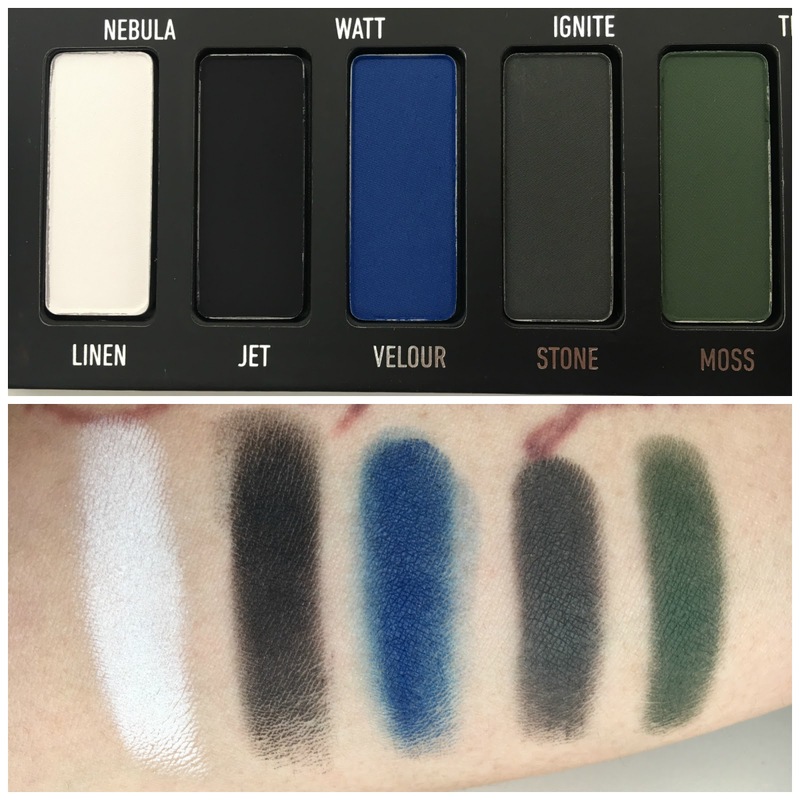 Yes, this includes matte neutrals, but they're not the ones I would choose as my base/crease colors. 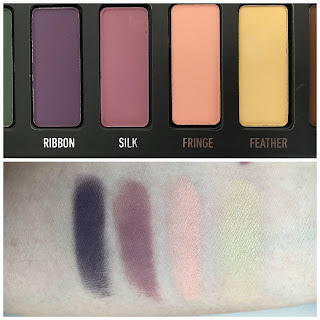 It's hard not to compare this even a little bit to UD's Naked Ultimate Basics palette (which is also new this season), even though they're not meant to serve the same purpose, just because they are both major collections of matte eyeshadows. 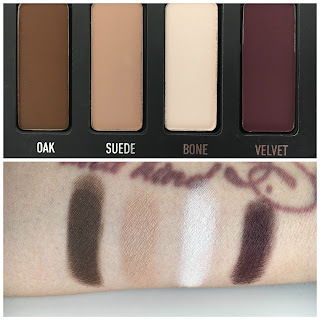 There isn't enough nuance among the matte neutrals of this palette to render my Naked UB unnecessary - but that's fine, because that's not why I wanted this palette anyway. 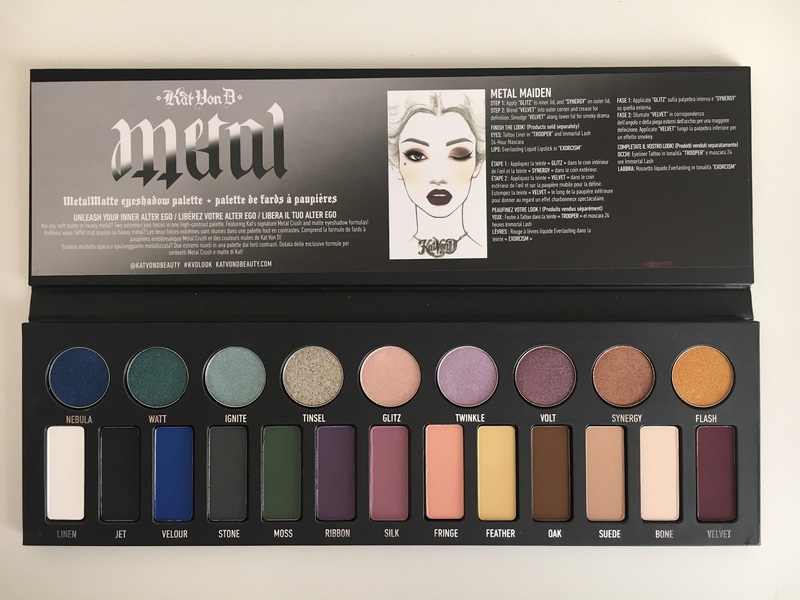 I wanted this palette mainly for the metallics, and for the mattes that coordinate with those metallics. (BTW, can I say, there's a teeny part of me that's kind of annoyed that they didn't arrange the mattes in the same order as the metallics or vice versa? Just a teeny part.) The metallics are beeeeeeeeeeautifulllllll. They are all smooth and buttery. And I love that there are a few pastel metallics. 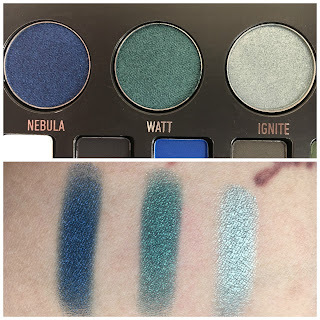 My favorites are probably Ignite (icy teal), Tinsel (BOOM! Silver! 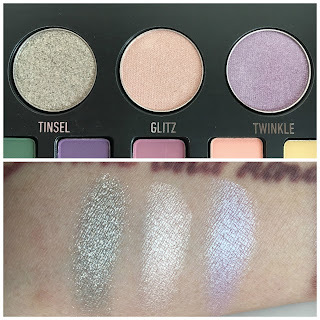 ), and Twinkle (light purple). Synergy is actually one of the Metal Crush colors, and not one that I already had, so I'm glad it's in here. And Flash is a brighter orange than Hieroglyph (from the Serpentina palette). 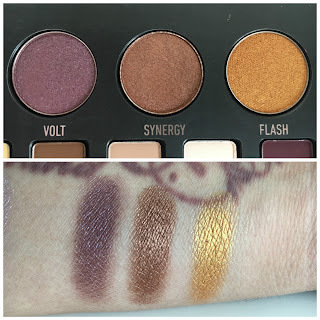 The mattes are pretty good, but less consistently good. There are some really standout shades, quality-wise (like Stone, Silk, and Oak), and maybe only two that made me go, "Oh." (Jet and Feather, if you must know.) The rest were pretty good. 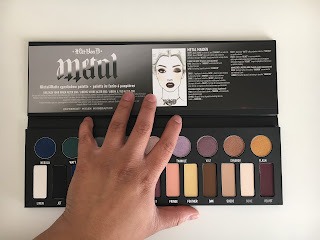 Overall, these mattes felt a little drier than what I've been used to from Urban Decay or even from KVD's Shade & Light palettes. But again, still pretty good. I'm super excited to play with this palette more. 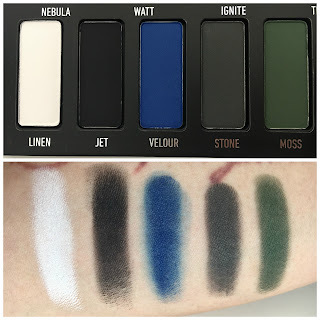 Again, I'm still going to use my Naked UB (or my other Naked Basics) to lay down my base colors, but for color, I'm definitely going to reach for this.